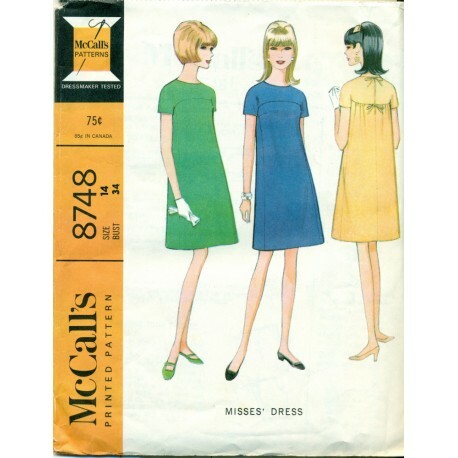 Great modern styled dress pattern from McCalls! 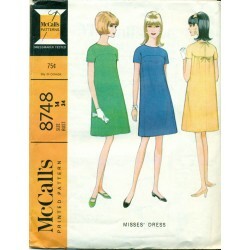 Short sleeved with bust line of the dress slightly above the bust. Gentle gathers in this high bust line in the back with hook closure behind decorative bows. Slightly flowing A-line styled dress from the 1960s. Condition : Checked and counted - complete with instructions.